A stand designed for our medium range loudspeakers: Vincent & Lola MRT, HANZO HR and HANZO HR+. 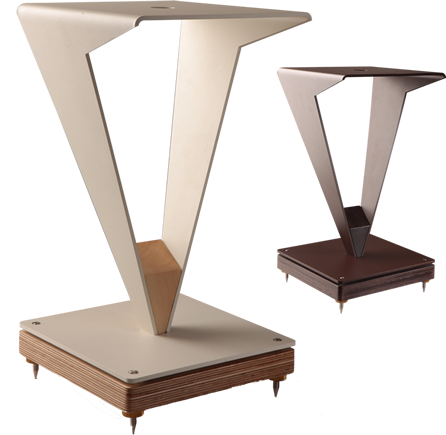 The stand consists of a thick sheet of steel, shaped and coated with anti-scratch powder paint completed with a multilayer wooden base, the latter equipped with sharp ending stainless steel socket head screws and brass fastening locknuts. An essential design which fits well within any ambience, both professional or domestic. Available in white and dark brown.